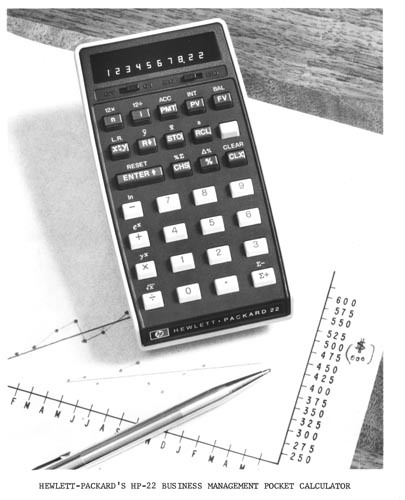 Black and white image of the HP- 22 Calculator. It is on top of a graph with a pen also on top of the graph. Recto bottom label: " Hewlett-Packard's HP-22 Business Management Pocket Calculator."